Belgian police detained two key suspects on Friday in the Islamic State attacks on Paris and Brussels as operations go on to track down militants who have fought with or take direction from leaders in Syria. Mohamed Abrini, a Belgian thought to have helped prepare the Nov. 13 bombing and shooting attack that killed 130 people in the French capital, was held with two others, prosecutors said. They were trying to confirm that he was also the "man in the hat" seen with the Brussels airport suicide bombers on March 22. The arrests mark a signal success for Belgian security services, which have faced fierce criticism at home and abroad since Brussels-based militants organised the attacks in Paris and, four months later, those in the Belgian capital that killed 32 people, four days after the arrest of Salah Abdeslam. But there was no change in the national security alert level and Jambon added: "The struggle against terrorism goes on." 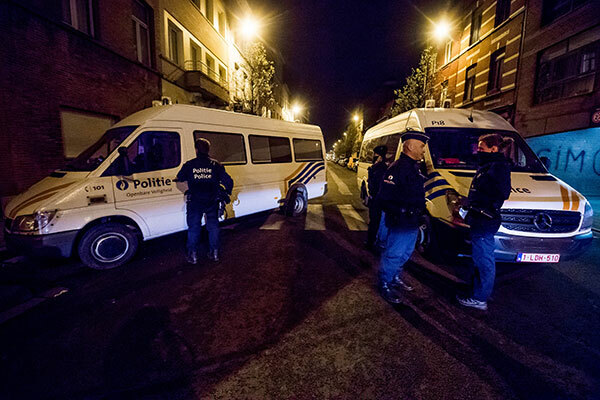 Police searched premises in western Brussels late on Friday. Belgium has struggled to contain a threat from hundreds of young men, many with chequered criminal histories and from the country's substantial Moroccan immigrant community, who have travelled to Syria. For the size of its 11 million population, Belgium has the biggest contingent of Islamist foreign fighters. The arrests came a day after police issued new images of "the man in the hat" seen on airport cameras walking through the terminal with Brahim El Bakraoui and Najim Laachraoui. Police have also been hunting a man seen with El Bakraoui's younger brother Khalid at a Brussels metro stop shortly before the latter blew himself up on a train at Maelbeek station. Abrini, who local media said may have spent time in Syria last summer, has been on Europe's most wanted list since December. That was when he was identified from security camera footage at a motorway service station driving with Abdeslam toward Paris from Belgium two days before the Nov. 13 attacks. The car they were in was later used in the attacks, in which Abdeslam's elder brother was a suicide bomber. Prosecutors also said Abrini and Abdeslam rented an apartment that was used by several of the militants before they struck in Paris. Abrini, nicknamed "Brioche" for his work in a bakery, was a regular at a Molenbeek bar run by the Abdeslam brothers and which police shut down last September after complaints of drug deals.